(Reuters) US President Donald Trump will seek "tangible" agreements on trade with China when he visits the country next month, but results on key issues such as market access may take longer, US Commerce Secretary Wilbur Ross said on Wednesday (Oct 25). The United States is seeking "immediate" results, like the deals American companies GE and Boeing Co struck in Saudi Arabia in May, as "a sign of good faith," Ross said. 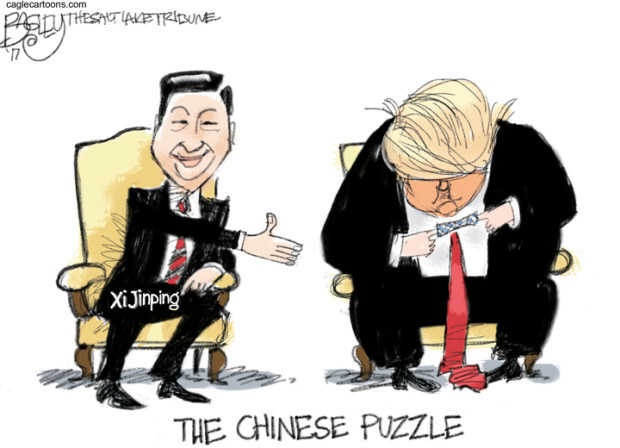 But, speaking at the Paley International Council Summit in New York, he acknowledged that market access, intellectual property rights and tariffs are more complex and will take a longer time to negotiate. Trump administration efforts on trade continue on multiple fronts, with US negotiators grappling with Canada and Mexico on updating the North American Free Trade Agreement (Nafta). Trump will head to Asia from Nov 3 to 14 for discussions on issues including trade. Ross on Wednesday described Chinese President Xi Jinping as being elevated to a "Mao-like" status after the Communist Party concluded a week-long conclave and, on Wednesday, unveiled a new leadership line-up without naming a clear successor. Despite Trump’s fierce criticism of China’s trade practices during the presidential campaign, he has mostly held off on any major trade action while his administration works with Beijing on issues including conflict with North Korea. On Nafta, Ross said "we’re just now getting to the really hard issues," and said talks would likely continue to March, past an earlier year-end deadline. He did not outline which issues were sticking points. The latest round of formal discussions are slated to take place in Mexico City next month. Trump, who blamed Nafta during his election campaign last year for shifting US manufacturing jobs to Mexico, has repeatedly vowed to scrap the treaty unless it can be renegotiated on terms more favorable to the United States. Ross said he had strong expectations for a congressional deal on tax cuts. Speaking at an event hosted by The Economic Club of New York on Wednesday, Ross said the administration’s proposal to repeal deductions for state and local taxes may be refurbished by introducing income thresholds. The S&P 500 sank half a per cent on Wednesday as investors expressed concerns over the tax plan’s details, but the index has returned more than 16 per cent this year, including dividends. Rising US stocks are a "good omen" for the broader economy, Ross said.